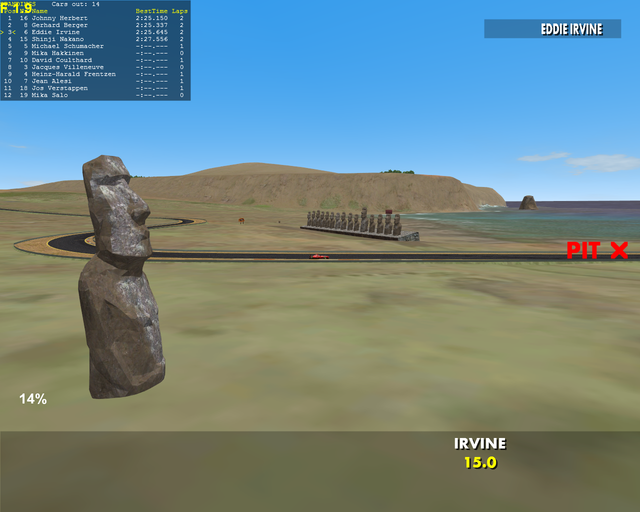 Here is my Easter Island circuit. 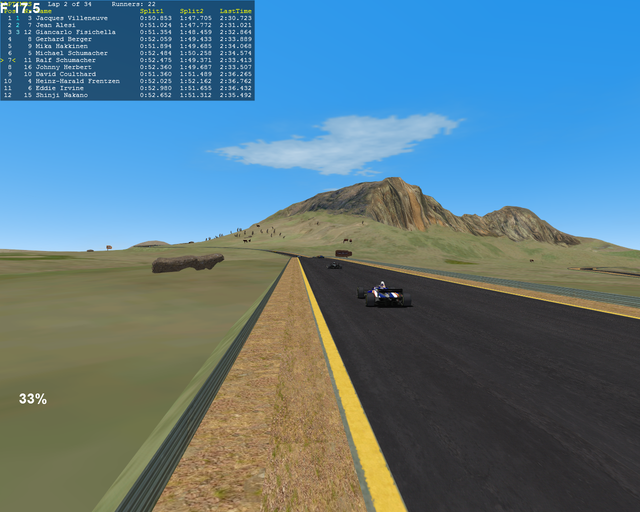 It's very fast, features some rather interesting and challenging corners and takes around 2:25 to lap its near 9km length. As with my Tahiti track (see sig), it is inspired by a wondrous place I have been fortunate to visit recently. I have dreamt of going since playing Total Drivin on my PSX as a twelve(?) year old! Edited 10 time(s). Last edit at 03/14/2018 11:10PM by salvasirignano. Looks great, the stuff you've done so far have been incredibly creative so I'm looking forward to getting my hands on this! Great news, your tracks are fun to drive, keep them going! Thanks Salvatore !!! wait for realease!! Incredible, gotta ask, did you make all the terrain or is it a satellite image? > terrain or is it a satellite image? Thanks! A mixture of both really, the image is pretty high res, but the elevation data was extremely low res, so I had to pretty much do the whole terrain model in racetrack builder, then paint my satellite imagery onto it in Blender. Quite a long task, and I've never used Blender before, I found the learning curve quite steep. But it's a very good option for mapping objects because you can paint a variety of textures directly onto the mesh, blend them all together realistically, and only have one texture to export for the whole object. 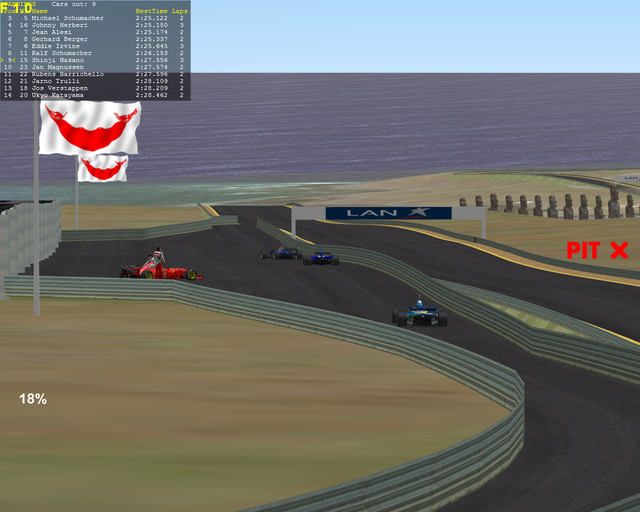 Quick progress update, I am working when I can on the track, but .gp4 stuff is very time consuming! My release forecast was on the optimistic side, it'll be at least another month or so I think! Here's a screenshot or two of the progress so far.. The mountains looks very real, fantastic job. that blowing my mind bro! Nearly finished, I'll upload a hotlap video tomorrow! As promised here is a video featuring an onboard lap with Shinji Nakano, followed by a slightly quicker trackside one..
Edited 1 time(s). Last edit at 06/04/2017 11:13PM by salvasirignano. Edited 1 time(s). Last edit at 06/05/2017 12:26AM by Soutsen.